Welcome to Toyota RV For Sale! 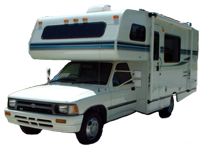 The Toyota Motorhome is a classic Class C RV that encompasses a variety of motorhome models from various manufactures. These vintage and collectible motorhomes were made in 70s, 80s and early 1990s. 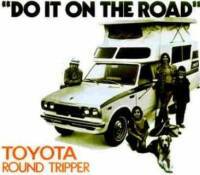 For more information on this see the Toyota Motorhome History below. Toyota Motorhomes are highly sought after today for a variety of reasons including the fuel economy, low price and vintage style. 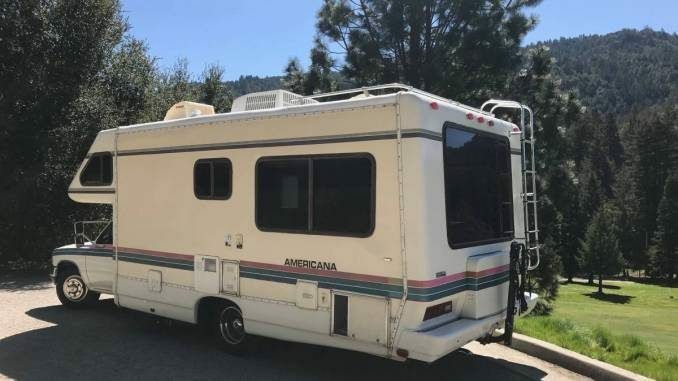 Motorhome buyers can find a Toyota Motorhome For Sale on Craigslist, eBay and RV Trader along with a variety of scattered resources online. We aim however to give buyers specifically looking for Toyota Motorhomes a one stop shop. Most of the visitors on this are familiar with the motorhome classifications but for those who are not here is a quick general reference guide. Class C Motorhomes are often referred to as Alcove or Cab-Over Motorhomes as they commonly have a double berth (sleeping area) over the driving cab. This is combined with a caravan style body of medium length, usually 22 to 33 feet long. 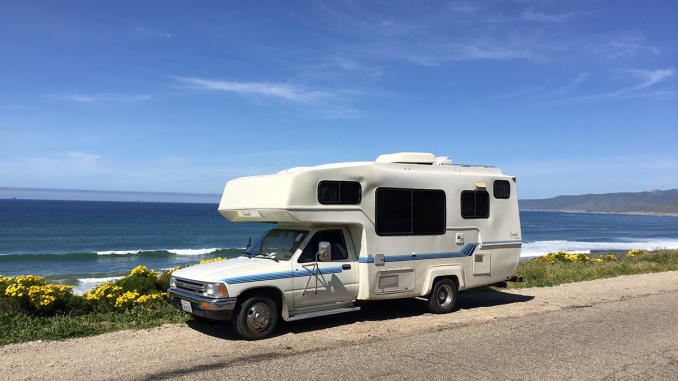 Class C motorhomes are advantageous because the owner receives better gas mileage like a camper van but has more self contained accommodations like a full size Class A motorhome. 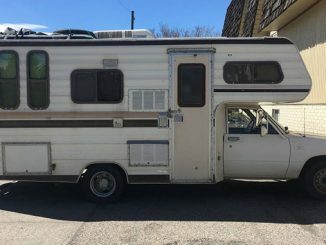 This class of motorhome is considered semi-integrated as sometimes the cab is separate from the camper portion, similar to a truck with a camper shell. Toyota Motorhomes are iconic as they were some of the first Class C motorhomes to hit the road back in the 70s. 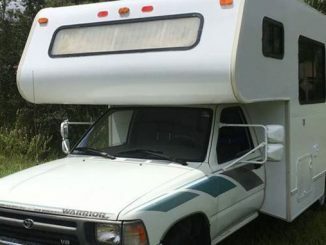 Today most major motorhome manufactures utilize the Ford E Series chassis to base their motorhome designs on, however back in 1970s they used the Toyota Truck. This is the truck that the Toyota Tacoma was originally based on, but at the time was simply known as the Toyota Pickup in the United States or the Toyota Hilux in international markets. 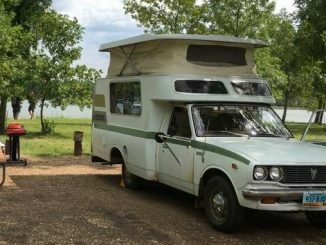 Motorhomes were made on the standard duty Toyota truck chassis from 1977 to 1985 before moving to a one-ton cab and chassis in 1986. Motorhome makers continued to fabricate their shells on Toyota trucks until 1993 when weight restrictions caused them to move to the Ford E-Series (E450/550) Econoline chassis. The top three brands that most enthusiasts are aware of are the Toyota Chinook, Dolphin and Sea Breeze. The Chinook brand was made by Chinook the company while the Dolphin and Sea Breeze where made by the following manufactures. Other popular Toyota Motorhome models were the Itasca and Winnebago Warrior both made by Winnebago Industries. Lastly Gardner Pacific was responsible for making the popular and iconic Toyota Sunrader Motorhome. While ToyotaRVForSale.com is designed to be the ultimate online resource for finding Toyota Motorhomes For Sale; this site, its owners, advertisers or licensors are not directly involved in the physical sale of any vehicle. This website is simply provided as a tool to facilitate buyers and sellers connecting for the transaction. 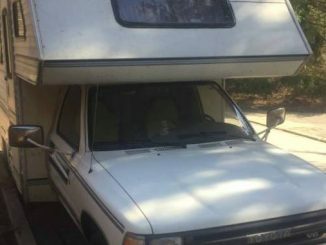 In addition, this website is not endorsed by or affiliated with the Toyota or other motorhome brands nor is it certified by Craigslist, eBay or other classifieds resources. The use of trademarks and brand names are executed in accordance with the Fair Use clause of The Copyright Act of 1976. As this site is educational in nature, use of this copyrighted material is covered under this clause. All trademarks belong to their respective owners. Please view our DMCA Notice for more information about copyright and material presented on this website. Use the links below to find Toyota RVs listed for sale in the United States & Canada. Regions are further broken down by states / provinces and cities / counties or general areas..